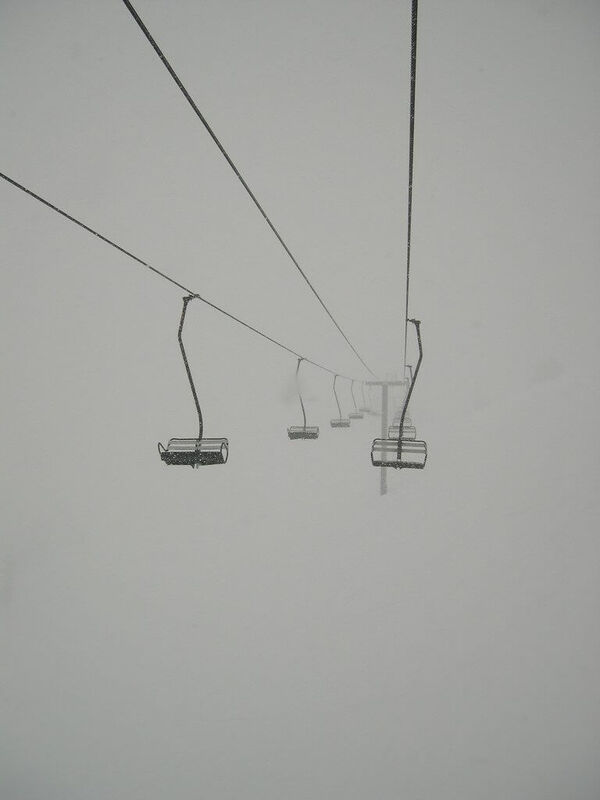 Snow – what every skier & snowboarder’s dreams are made of. Massive amounts of snow that you can slash, carve… anything you want! With another storm cycle predicted to hit the Sierra Nevadas next week, curiosity struck. The question arose, “What are some of the largest snowstorms in our lifetime to pummel ski resorts throughout North America?” Here is what we found out. The winter of 1998-99 will live in infamy as the biggest snowfall season EVER. 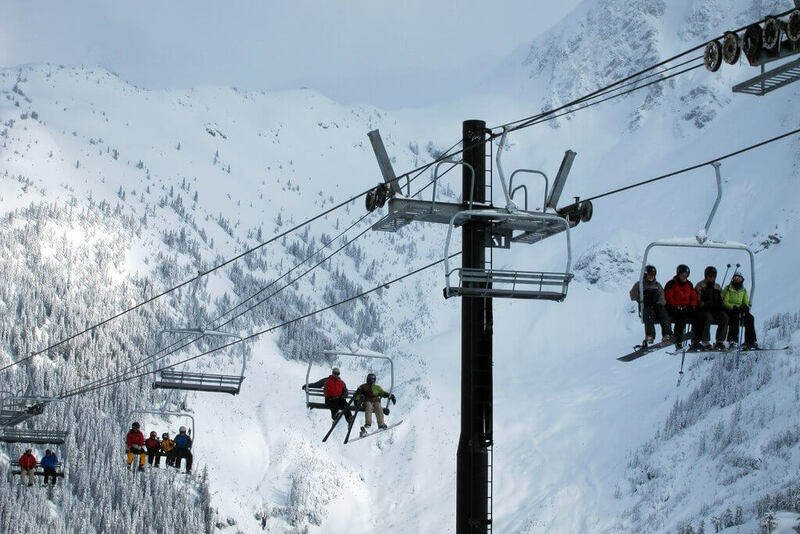 With 1,124″ of the white stuff falling over the slopes, Mt Baker Ski Resort stamped the history books. Technically not a single snowstorm but rather many, it translates in most people’s minds as one continuous storm. It snowed for 35 days straight between mid-November and mid-December. One in every three days throughout the entire season was a powder day with over 10″ of fresh pow-pow. Talk about the best season ever! How Did Mt Baker Get The Record? 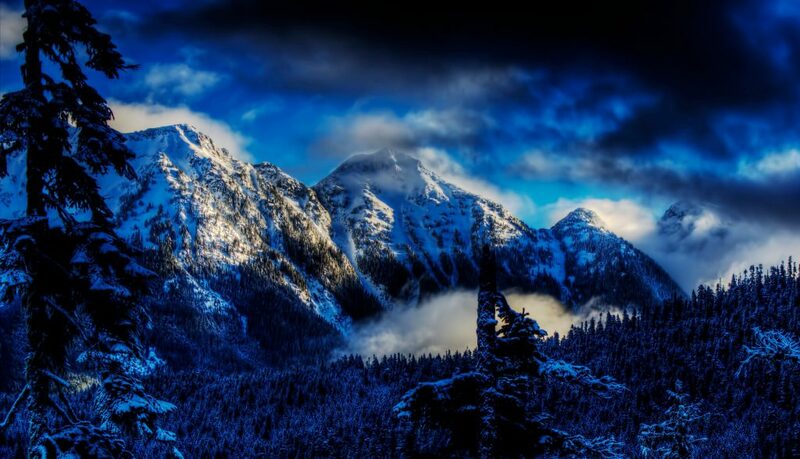 The western slopes & crests of the Cascade Mountains are the wettest locations in the U.S. This is due to the persistent winter storms passing over the region and the “great enhancement” by the regional terrain. Furthermore, the territory around Mt Baker extends more westward than the bulk of the area, providing more uplift & leading to more snow. Sure, the Colorado Rockies and Utah get the dry snow we love to ski & snowboard. To maximize the amount of snow to fall over mountains though, it needs to be a bit wetter. Why? The amount of snow is enhanced for temperatures just below freezing. Air’s ability to hold moisture (and thus precipitate) is the greatest at warmer temperatures. If you put all that together, Baker is at the perfect altitude range for maximum snow. What this really means is that a ski area at 4,000-5,000′ gets more snow than a 6,000-7,000′ resort with an average 4,000′ freezing level. The Sierra Nevadas are known for their feast or famine storm cycles. It could be weeks or months until a storm arrives. When it does come, it comes in massive storm cycles that us humans can’t believe until we see it in person. A great example is the storm from February 6-9, 1999 near Donner Pass. 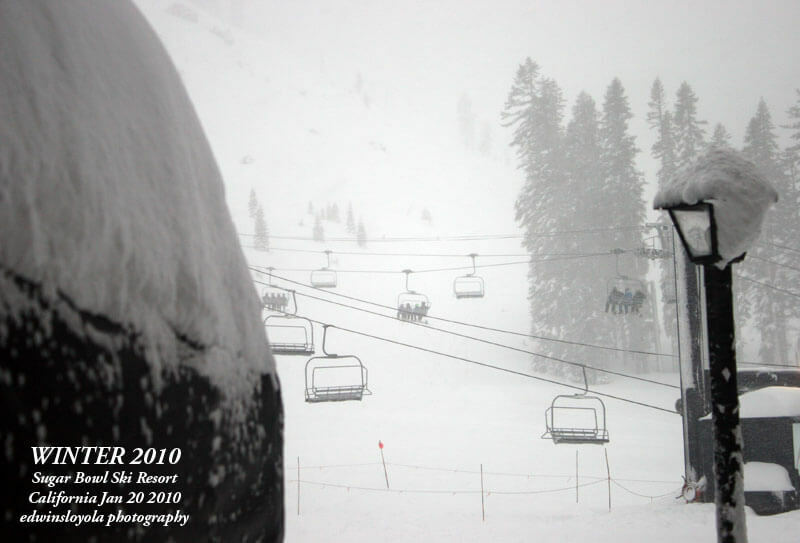 This powerful winter storm dumped 168″ (14 feet) at Sugar Bowl Ski Resort! Talk about A LOT of snow in a VERY short time. Why Do The Sierra Nevadas Get Slammed? Similar to the Cascades, the proximity to the Pacific Ocean is the first piece of the puzzle. Second is the actual location of the range. The Sierra Nevadas are the first major barrier that storms have to hit when coming on-shore. This fact makes sure every bit of moisture is squeezed out of storm and into the mountains. Unlike the Cascades, the Sierra Nevadas need two major weather patterns to mix in order to create these legendary snow events. When the large Pacific High moves West and the Aleutian-Gulf of Alaska Low points its fire-hose at the Sierra Nevadas, huge storms barrel in. Between the storm cycles, there are peaceful, warm weather stretches that can last a few days or even weeks. These peaceful periods can lure you into a lull or push you to insanity depending on your personality. Utah is considered the home of the “Greatest Snow on Earth®,” but do they get the caliber of storms like the Pacific Northwest or California? No… not as continuous or as large, but they still do get amazing storm cycles. December 25-31, 2003, the Wasatch Mountains saw phenomenal, near-record amounts of snow. 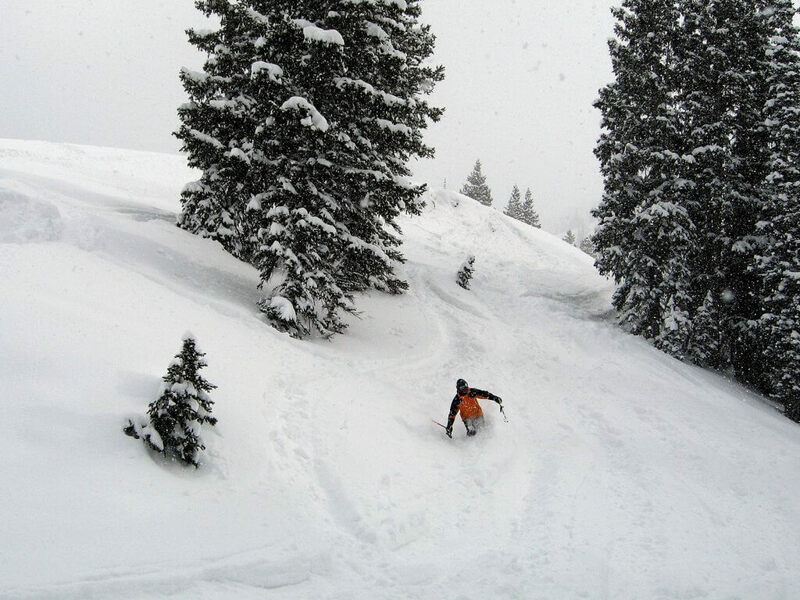 The ski resorts recorded several feet of snow with skiers reporting “all time conditions.” Alta saw 87″ (221 cm) of snow, while Snowbird got 82″ (208 cm) and Brighton 66″. 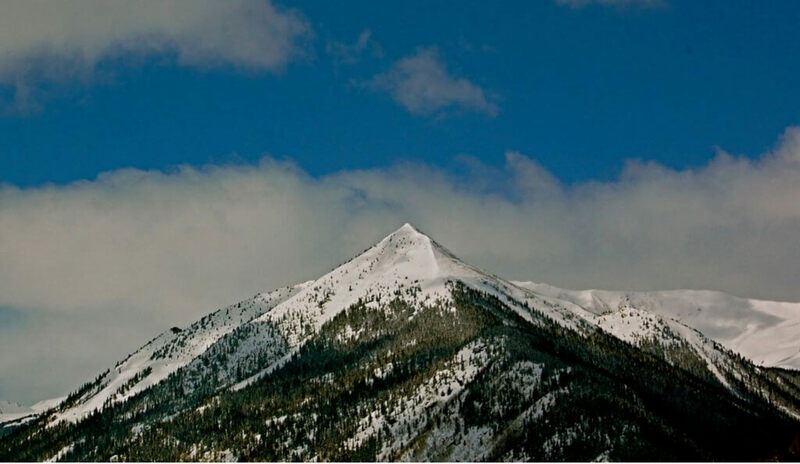 Why The “Greatest Snow on Earth®” Falls Over The Wasatch? Utah is the epicenter to some of the biggest annual snowfall mountains in the world & have trademarked it as such. So, what allows them to boast about their snow? It’s definitely not the driest. New Mexico gets that claim. It’s also not the snowiest. Washington possesses that award. So, what gives? It’s a combination of things that make it the best. They get abundant snowfall that has a little bit of body so your skis can float, but not so dense that you sink. The perfect combination! The Wasatch get storms from multiple storm tracks allowing “powder-deliveries” more often than other places. The Wasatch Mountains are a very large, steep barrier, especially around the Cottonwoods where the terrain rises more than 6,000 vertical feet from the valley floor. With only being second in line from the coast plus the topography, the storms are never depleted – they are just right! The first mountain barriers typically have the highest moisture content due to their proximity to the ocean. When storms hit the Sierra Nevada Mountains, it drops with about 10 – 12% moisture density. As the storm continues East across the Great Basin into Utah, the storms get colder and drop the average snow density to around 8.5%. It also helps that the ski resorts start at 8,500 feet, ensuring there is less likelihood of a rain event. Next to Denver, the front range of Colorado isn’t typically home to the biggest snowstorms in the Rockies. Every once in a while though, the right conditions emerge and a unique scenario arrives. The greatest example of this would be the Blizzard of 2013 – the largest in Denver history. What Makes The Perfect Combo? Normally, snow storms come from the West and dump a few inches to a foot over the Rockies, but this storm was different. It was March 17-20, 2003. As the storm arrived in Colorado, the front pulled in moisture from the Gulf of Mexico northward to the front range. This combination caused the storm’s edge to swirl back West over the Great Plains and slam into Colorado’s Front Range. Humid winds forced into the mountains condensed into clouds of heavy snow. Without any major mountain ranges blocking the moisture tap, the front range of the Rockies were slammed with snowfall similar to the Sierra Nevadas and Cascades. There is an eerie theme between all these major snowfall locales or events. They are the first or nearly first major obstacles that storms have to hit before moving East into North America. Interesting for sure. Is there a snow storm that was memorable in your mind that should be on this list? Let us know! Couldn’t find this one on the internet, but in 1990 or 1991 we drove from Laramie, WY to take in closing weekend at Red Lodge, MT. The roads were snotty driving up, and when we got to the Belfry Hill turnoff the road was closed. It was puking snow. We drove around the long way via Fort Rockvale and when we got to Red Lodge there was at least 2′ piled up, and it was dumping. The next morning we woke up and found out the ski area was not able to open due to too much snow. In Red Lodge town you couldn’t drive, and the only businesses open were the bars and restaurants. We spent the day walking through 4′-6′ tunnels to various establishments, marveling about the snow, and wondering if we were going to get that final day of skiing in. By Sunday morning the snow had stopped, Red Lodge town had 6′ and when we got up to the mountain they reported 100″. While we could hardly probe it, (and why bother? ), we had an amazing last day of the season. An epic 100″, pretty challenging to ski and easy to get stuck, but once broken up, really fun, and totally memorable. WHOA! That sounds like one heckuva storm. Red Lodge Montana is on my to do list for 2019. Hopefully I’ll get to experience that personally. It sounded like an amazing weather event to be a part of.